This past Monday I had the pleasure of attending an event at the Brattle Theatre in which the film Black Mother, by filmmaker Khalik Allah, was screened. I had heard about the screening, though not of the director, and when I was rewarded with a postponed meeting that evening, I arrived at the Brattle with only moments until the presentation. It is hard to describe my feelings about this event. Since then, I have felt compelled to be both reactionary and participatory as a filmmaker and artist, and I have also felt compelled to be reflective and tap into my spirituality. These two things are not opposed, but they are both things to which I do not afford enough of my time. To say the least, viewing this film was a heavy experience for me, and it also provided some healing effects. The night kicked off with introductions by both the director and someone who I believe is one of the organizers of The DocYard. The audience was informed about Allah’s career in filmmaking; this is his sophomore film, his first being another video essay entitled Field Niggas. The organizer, who introduced Allah, chose to say the full name of that film despite being a white person, which was unnerving to me as a black/mixed person, but I breathed deeply and tried to hear the rest of the introduction. Once on the mic, Allah thanked us for coming out, and warned us that his film is dense. He remarked that if we bob in and out of attention or drift off from time to time, that type of viewing is completely welcomed. 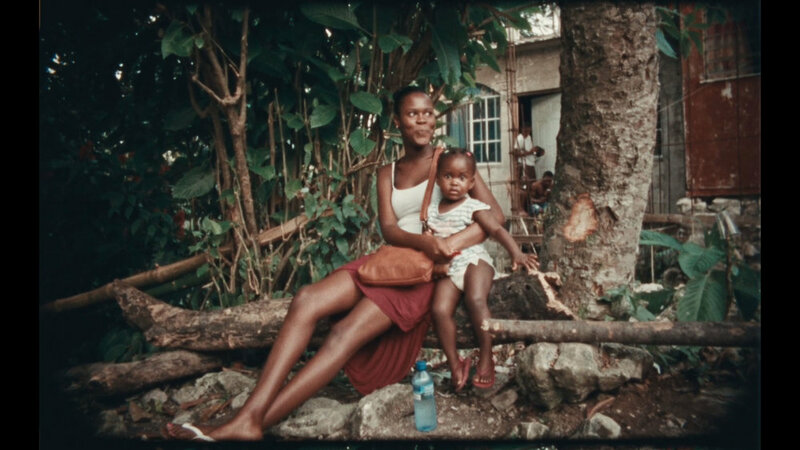 He told us of his own experience being raised by a black mother, his Jamaican and Iranian descent, and that this is not a portrait of his experience, but rather a spiritual film about Jamaica and about motherhood. With that, the screening began. I forgot that the organizer of the Doc Yard series had told us that we would be watching a 12 minute film before the feature: KINDAH by filmmaker Ephraim Asili. This is also a video essay film set in Jamaica. As a person with Jamaican heritage, I was very much moved by spending Monday night considering my connection to the diverse culture I descend from. I have felt for a long time that Jamaicans are usually more transcendent than Americans. I am part of both nations, and have observed that transcendence, or perhaps rebelliousness, in myself, as well as many other Jamaicans. As an American, especially a Northeasterner, I also feel very secular, and the opportunity to engage with Black Mother pushed me to confront my spiritual side. I did indeed find that the film to lived up to the spiritual depth Allah had mentioned in his introduction. The film itself is quite extraordinary. 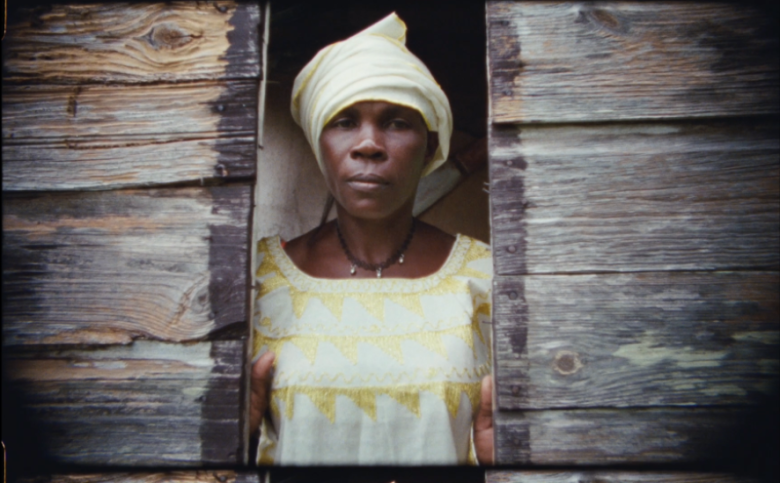 A woven montage of footage collected at various hours of the day in the streets of Jamaican cities, as well as that of rivers, falls, the ocean, and rural areas of the island, the film visually depicts many sides of the island and its people. The images are compelling and well rendered; however, the accompaniment of the audio is what makes this film insanely impressive. Allah gathered countless interviews, including those with family members and friends of his, as well as individuals he met on the street who were willing or excited to be involved in the project. From these interviews, Allah masterfully strung together an audio track full of energetic and heartfelt stories of Jamaicans, covering an incredible breadth of topics. From more superficial topics such as weed and the party culture in Jamaica, to conversations on the history of the nation and issues related to the current political climate of the country, and on to the spiritual aspects of the culture and the faith of the people in Jamaica, the film creates a medley of experiences for the audience to take in through the audio. Allah’s warning of the density of Black Mother was not uncalled for, and yet, by the end of the film, I felt like I had just taken a spoonful of medicine, and not in a painful way. I felt so glad I had come to the screening, and I was excited to process it with the question and answer session, as well as plotting future viewings of the piece. For the Q&A, Allah was joined by Mass Art Professor and fellow filmmaker Chico Colvard. The conversation, more than the film itself, is where my mind drifted. I tried to word questions in my head while also trying to listen to my fellow audience members praise Allah’s work and question his process, so I was thoroughly distracted. But as most of us do, even if I cannot remember what was said, I remember how I felt during the Q&A. I was struck by Allah’s presence. He was able to answer questions in a relatable and friendly way while being thoughtful and reflective. He seemed completely comfortable being onstage, speaking about this piece with authority, authenticity, humility, and grace. As a filmmaker myself, and as someone who goes to see many screenings, I know that to be a filmmaker screening their work and to be so natural and so present without using the moment to feed one’s ego is incredibly rare. I realized Allah’s capacity to be so grateful and so humble simultaneously added to my respect for him, not only as a filmmaker but also as an individual. During the Q&A, Allah spoke about being a conduit in the process of creating this piece. 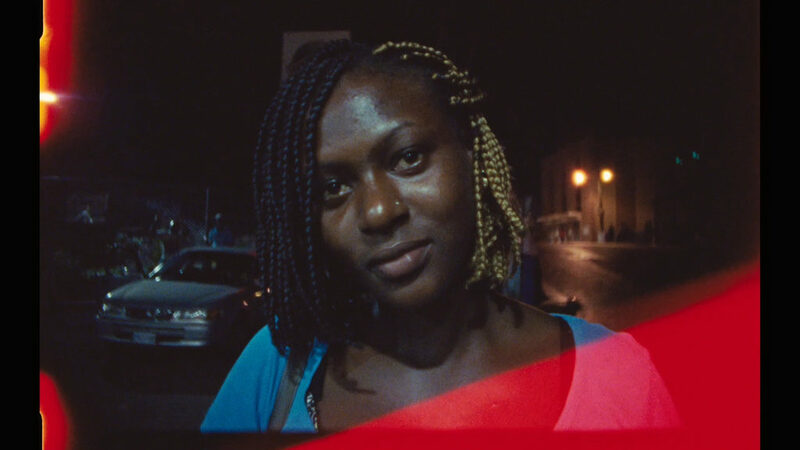 Instead of drawing attention to himself as the director, producer and editor, he chose to discuss the respect he had for his subjects for being vulnerable and open with him. He saw this process as allowing him to be a channel through which the subjects expressed themselves, and he had a lot of love for them being willing to give so much to him in this process. Ultimately, it was what they gave that allowed him to see his vision for this film through. And yet the audience, as well as Colvard, would not let Allah off the hook. We as a collective were so moved by the film, and thanked him for his bringing it to life and to the screen. It was a beautiful experience all together. After the screening and Q&A, the organizer of the series let the audience know they were invited to a bar nearby to keep the conversation going. My friend and I tagged along and ended up speaking with Allah, Colvard, and other audience members/filmmakers. Here, Allah was just as honest and thoughtful as he had been the whole night, but did it while passing around french fries and telling us behind the scenes stories from creating and promoting his films. This night not only made me want to put into action some of the passion projects I have set aside to make space for everyday life, but it also pushed me to consider interviewing more people who I love and find fascinating; to start trying to shoot on film; and also to reflect more about my spirituality, my family, and my heritage. I was not expecting all that, but I welcome it and thank the Brattle, the DocYard, my friend who texted me to come out to the movies, and Khalik Allah, all for getting me in the room to view such a fabulous film.